Not Dogs Second Summer Tour Round-Up! We kicked off with BBC Radio 1's Big Weekend in May - we'd never travelled to Norwich before but by the end of the event we simply loved the place! Not only is it a beautiful town to visit, the people there are so friendly and love Not Dogs which is always a good thing! Despite being very busy, we managed to get some #SausageSelfie photos with lots of fans and also a few of the artists performing there which was great - although a shoutout on the radio from Greg James on the way home topped it off for us! Up next was our second appearance at Godiva Festival in Katie's hometown of Coventry - last year's event was so good we knew we didn't want to miss it this year! Although it may not be as well known as some of the summer's events, Godiva is a fantastic free festival for all ages with some great performers. We had a surprise visit after closing one evening from punk band Slaves who were two of the nicest people we met all summer and they loved their Not Dogs! In July it was off to London we went for one of our favourite festivals - Lovebox in Victoria Park. We traded at Lovebox in 2014 and 2015 exceeded all expectations! It's an amazing festival with the best atmosphere so it's really fun to be there and get lots of #SausageSelfie pictures! We actually sold out of Not Dogs on both days! This really is a festival not to miss. Staying in London the Not Dogs truck attended a new one-day festival for 2015; Citadel, again located in Victoria Park. We have to say that Citadel is now our new favourite festival! The event organisers put on such an amazing event there's something for everyone - we do hope it returns next year! V Festival was a festival we had a goal of getting to when we started Not Dogs so were happy to rock up to our pitch near the main stage for some close-to-home fun in Weston Park, Staffordshire. 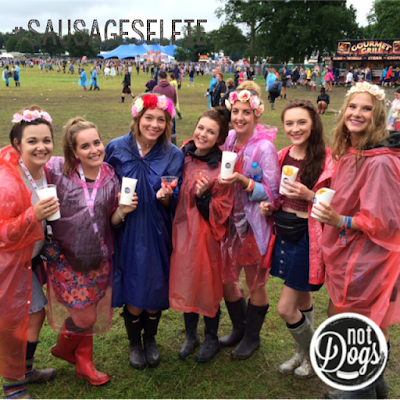 Here we witnessed mud wrestling, massive acts and our new potato waffle fries sold like hot cakes/fries! In 2014 we travelled up and down the country from London to Wales and back again but this year we found ourselves staying closer to home in the Midlands. Our last-but-one festival was Fusion Festival in Cofton Park, Birmingham. Fans were greatly disappointed that the main attraction Justin Bieber pulled out at the last minute but, much to our pleasure... Ed Sheeran came to the rescue! Ed pulled in a massive crowd on the first day of the three day festival where he did a 90 minute set - we had a great view of the stage too which was a bonus! 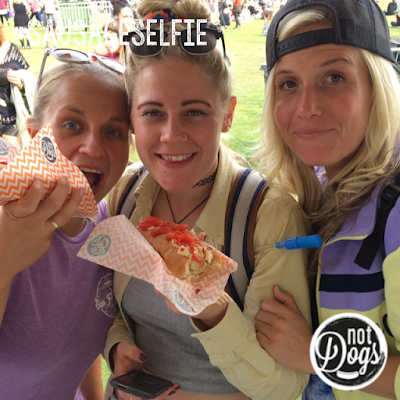 Brummies loved our Not Dogs and it was great to get so many #SausageSelfies with people! Fusion was one of our highlights of the summer. Lastly we returned to where we started - Norwich for Sundown Festival. Here, we met some great people, saw some fantastic acts and loved hearing how tasty everyone said their Not Dogs were! It was good to round-up the summer season where it had all kicked off! Now we're looking forward to returning to Oxford, without our little purple truck (into a chalet we go!) for the Oxford Christmas Market 2015. We had the best time last year so are very excited to be setting-up there again with our winter menu. And, our plans for 2016 couldn't get any bigger and although we hope to be doing a third summer tour, we hope to be sticking around in a location for a little longer! Stay tuned! 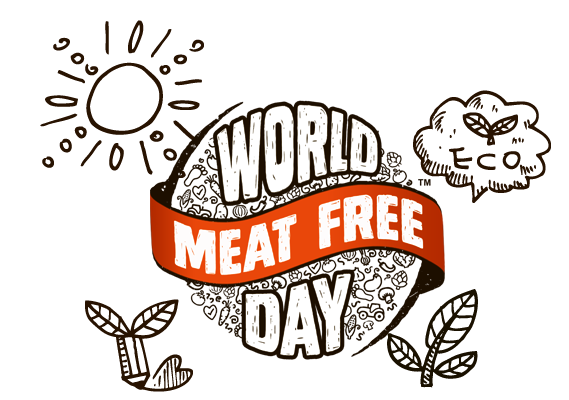 This year on 15th June we marked the first World Meat Free Day – which asks everyone to give up meat for at least one day a year. This year, there was a focus on different parts of the world where a reduction in meat consumption would help to protect that environment. Our Kickin' Katie Nacho Dog features ingredients originated from South America, one of the places that meat-reduction helps. You’ll find the recipe below, we hope you have fun recreating it! According to World Meat Free Day, if 10 million people swap the meat in one of their meals for a plant based protein on World Meat Free Day, the impact would be extraordinary. For example it would reduce water usage by 13 million tonnes – equivalent to 5,000 Olympic-sized swimming pools! Named after Not Dogs' co-founder Katie McDermott, Kickin' Katie Nacho Dog is one of our most popular Not Dogs. This recipe is inspired by the heat of South America and has the perfect hit of cooling guacamole and spicy jalapenos with an added crunch. Our first ever Not Dog, the Plain Jane is actually not so plain! 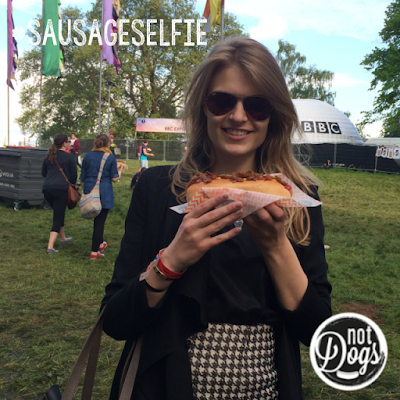 It just happened that Not Dogs co-founder Jane enjoys a simple Not Dog and the 'Plain Jane' was created in her honour! 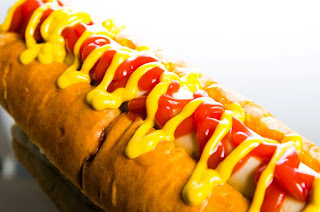 At Not Dogs we only use quality ingredients, things we use ourselves at home and we knew when creating the simplest of Not Dogs that high quality was key which is why we're passionate about both Heinz and French's. We did try various tomato ketchups and different types of mustards but these two were the perfect combination on the Plain Jane. It's fantastic when customers who may be a little wary of mustard try French's on the Plain Jane and just love it! Plus, the red and yellow look great together - another important part of creating the perfect Not Dog every time! 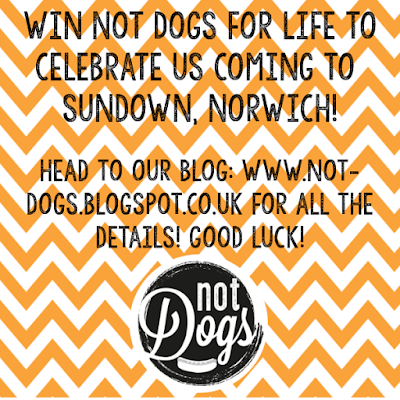 Norwich - Win Free Not Dogs for Life to celebrate Not Dogs Being Back in Norwich for Sundown Festival! Before each festival in our Summer Tour Line-Up we're going to give lucky festival-goers the chance to win free Not Dogs for life! Yes... for life! The competition closes at 6pm on Friday 4th September 2015 and after that time we'll announce the lucky winners who can come and collect their exclusive Not Dogs for Life card at Sundown Festival, Norwich! There will be a chance to win before every festival this Summer so keep checking back across our social channels! Good luck! The Not Dogs For Life Competition is open to all UK and Ireland residents. To apply you must be aged 16 and over. The Sundown Festival competition will run from Tuesday 01 September 2015 until 18.00 on Friday 04 September 2015. Only correct entries completed on Twitter and Instagram will be valid. Any application containing incorrect or incomplete information will be invalid and will not be considered. 1 x winner from Instagram and 1 x winner from Twitter will be selected at random from all valid entries and will be announced on Friday 04 September 2015. The decision is final and no correspondence will be entered into. 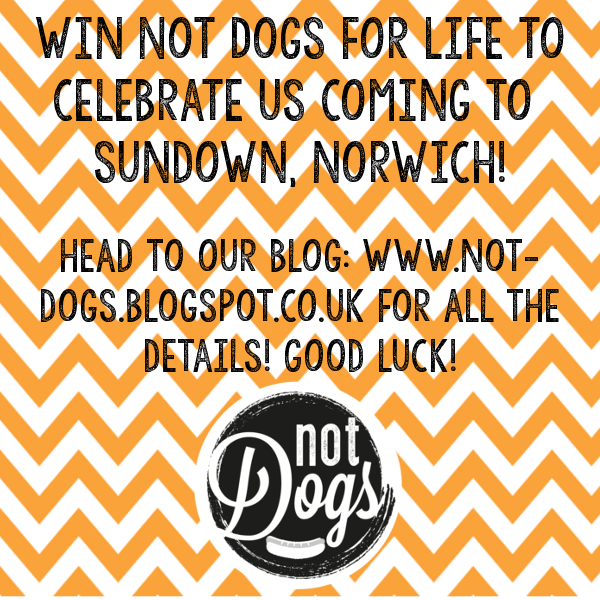 Winners will be required to collect their Not Dogs for Life card from the Not Dogs food truck at Sundown Festival, Norwich. If this isn't possible, the cards will be sent out in the post (provided the winners have given correct postal addresses) in September 2015. Voucher must be used in conjunction with valid form of ID to claim a free Not Dog. The voucher will not be accepted if used by anyone other than the winner. The winner may claim one free Not Dog per day from Friday 04 September 2015 and for the rest of his/her life when claimed with a valid form of ID and approved by Not Dogs. Free Not Dogs must be claimed by the winner in person at an event attended by Not Dogs, and cannot be used online or by phone order. 1 x Free Not Dogs for Life voucher will be sent by 30 September 2015 to each winner providing winners have sent their postal addresses to the team by 20 September 2015. By entering the competition you grant permission for Not Dogs to use any photographs and/or videos submitted of you in print and/or online, this includes for any marketing activities after the competition has ended and in future activity. Not Dogs reserves the right to publicise the name for each of the winners. In the event of any prize not being available for whatever reason, Not Dogs may offer an alternative prize of equal or greater value and quality. Any prizes unclaimed after reasonable efforts from Not Dogs to contact the winner will be distributed at the company’s discretion. Not Dogs does not accept any responsibility for late or lost entries due to online issues and Not Dogs is not liable for lost prizes. Not Dogs reserves the right to cancel the promotion at any stage, if deemed necessary in their opinion, and if circumstances arise outside of their control. Not Dogs reserves the right to withdraw any winner through a fraudulent claim. Upon there being no entries, there will be no winner. Your personal data will be treated in confidence and will not be disclosed to any third party for marketing purpose unless agreed.